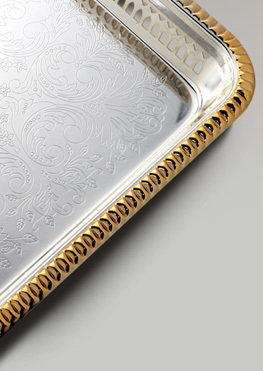 Edelglanz Premium fulls the demands of the Elite by blending the finest quality with an appreciation of the arts. 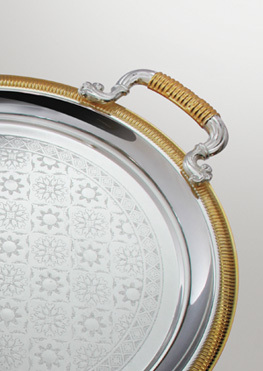 Highly stiny and reflective silver plating with golden paint, combined with our special tarnish reistant coating, the finished piece is easy to look after. 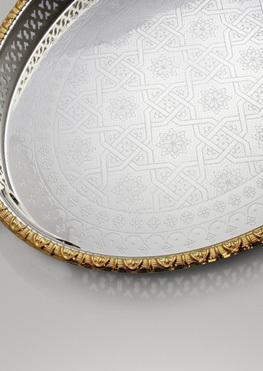 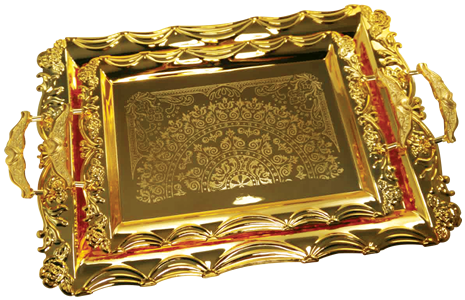 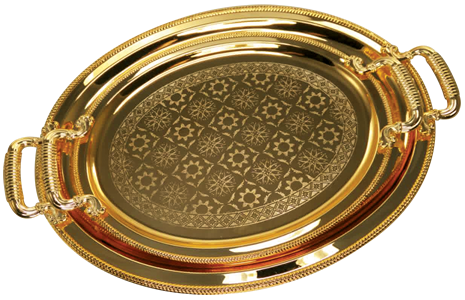 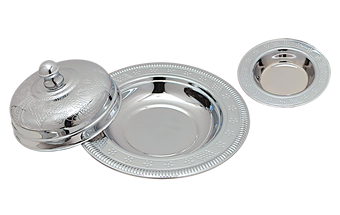 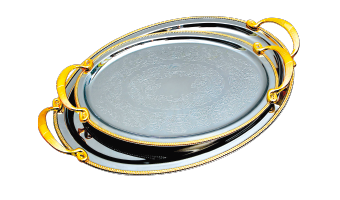 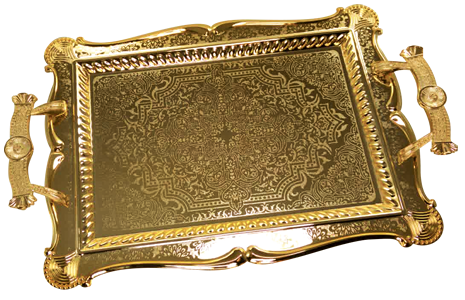 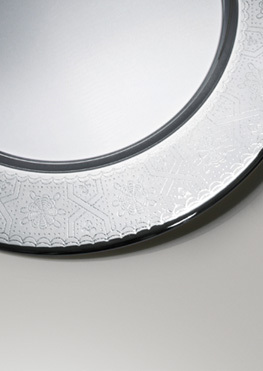 Highly durable and mirror polished with 24K gold painting, food and dishwasher safe. 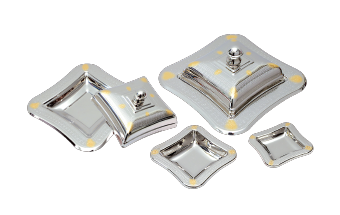 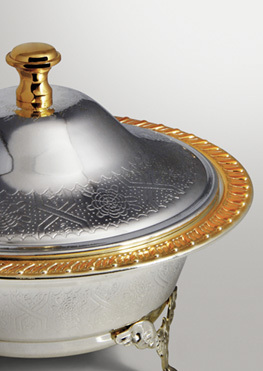 Elegant and classic designs with great functionality for serving coffee, tea and food. 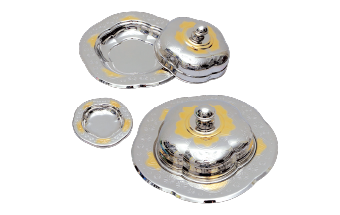 Bowl and lid set in innovative and practical designs. 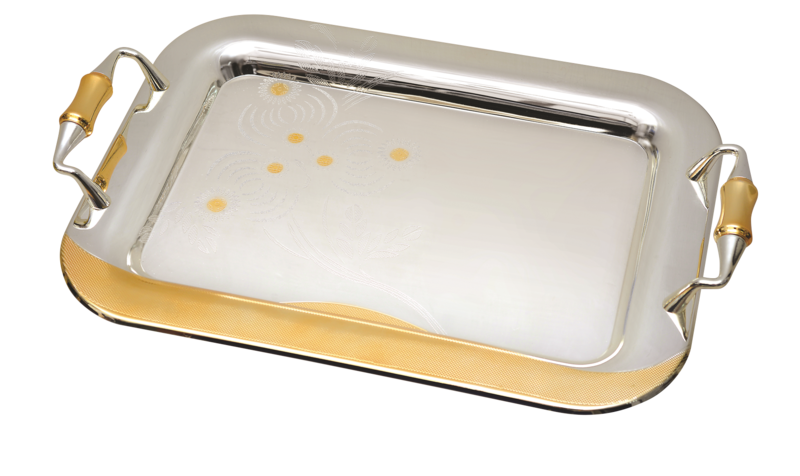 The beautiful pinkish rose gold colour give the serving trays a classic appeal.